It’s the most wonderful time of the year for Celebration! Treat your guests to an unforgettable Kringle bash. 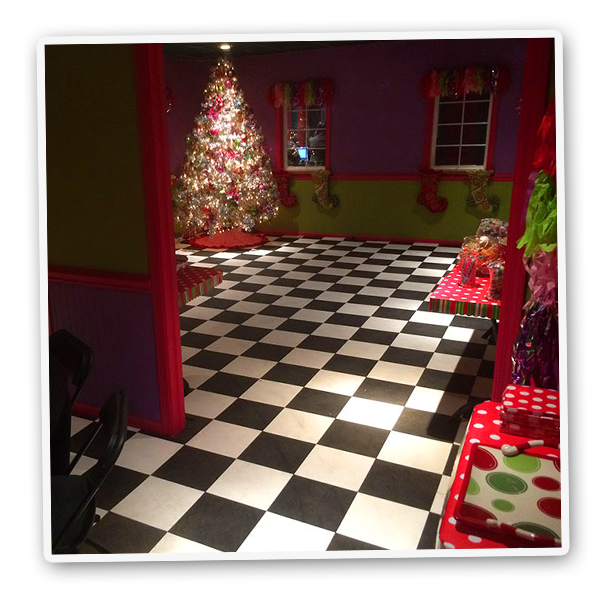 Whether a birthday or holiday party, Mr. Kringle® offers the perfect combination of entertainment, setting, food, frills & fun for the ultimate party experience. Our Kringle Party Packages include a fully decorated & whimsically furnished party room with accommodations for up to 32 guests. 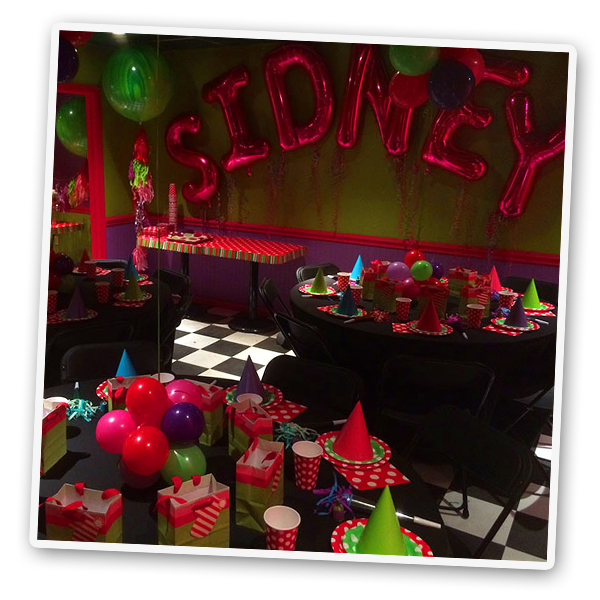 Complete with music, tables, linens, centerpieces, balloons, chairs, party attendant as well as hassle free set-up & clean-up. Now that’s Claus for celebration!